A ThingSpeak App is a service offered by ThingSpeak that runs in the cloud to help you build connected projects and release connected products for the Internet of Things. We are happy to announce today that we are releasing a new app and we are excited to see what you do with it! 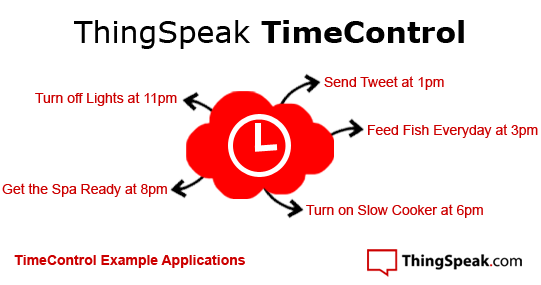 TimeControl is a web service hosted by ThingSpeak that executes any type of HTTP service call or sends Tweets at predetermined times or schedules. We now offer one-time commands and weekly recurring schedules for commands. TimeControl executes a ThingHTTP or ThingTweet command, and ThingHTTP can interface with any external Web Service API by doing SSL, Basic Auth, custom HTTP headers, GETs, POSTs, PUTs, and DELETEs. 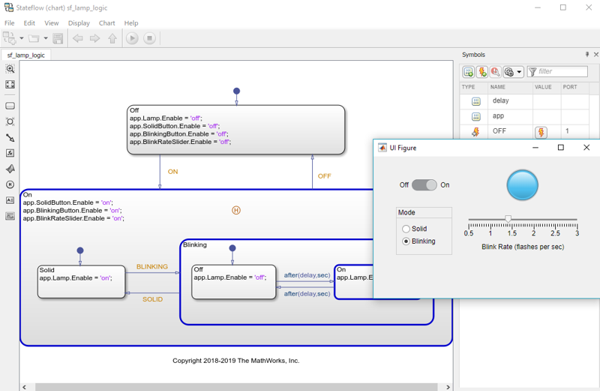 ThingHTTP simplifies connecting low-power, low-resource microcontrollers to complex web service APIs such as Twilio, Xively, and Amazon. When you combine TimeControl + ThingHTTP, you get scheduled triggers to any web service you can imagine and scheduled control of an embedded IoT device.